If Lake Tahoe is known for one thing above all else, it’s the skiing. Why? 15 resorts, all located a quick trip away. Whether you’re looking for a large world-class facility, a small hill for kids, or a locally owned family resort, you can find it all here in Lake Tahoe. Quick access and one of Tahoe’s best snow parks means this is a perfect resort for families with kids. This mountain is ideal for the advanced skiers as 50% of the runs are rated advanced or expert. It’s also home to Tahoe’s highest base elevation at 8,260’. Homewood Resort is known for having some of the best powder in Tahoe as the resort receives an average of 450 inches of snow per year. It’s also known for its extraordinary lake views. Home to a small ski hill, Granlibakken is perfect for beginners who are looking for a quiet place to hone their skills. Bear Valley Mountain Resort, located approximately 3.5 hours from South Lake Tahoe, is a small ski resort perfect for families looking for a boutique all-around mountain with a little something for everyone. With 55% of Boreal’s 480 acres rated as intermediate, Tahoe’s most convenient resort is perfect for all-around skiers and riders looking for quick access to great terrain. Visitors come to Diamond Peak Ski Resort for a chance to ski and ride on some of the most beginner and kid friendly terrain in Tahoe. Visitors come to Donner Ski Ranch for a chance to escape the crowds of Tahoe’s larger resorts and ski on over 505 acres of skiable terrain. Famous for its convenient location, epic powder, and variety of terrain. 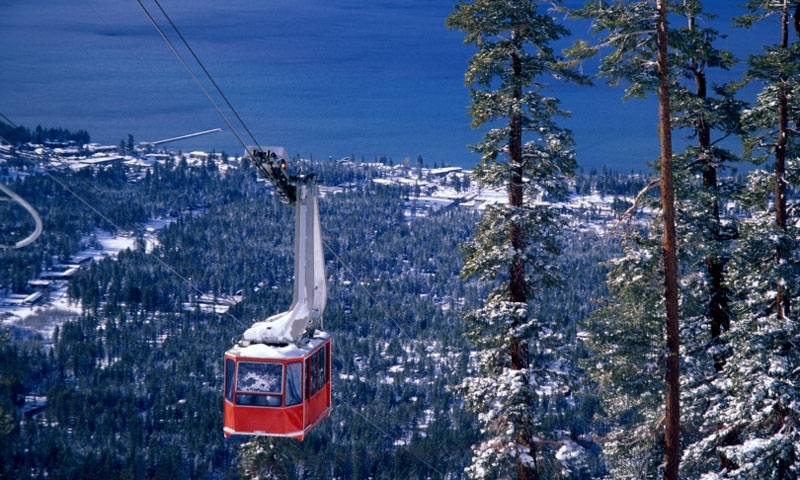 Sierra-at-Tahoe treats visitors to 2,000 acres of skiable terrain, as well as a variety of mountain services such as equipment rentals, lessons, and childcare. With over 4,000 acres of skiable terrain and a 2,850’ vertical drop, Squaw Valley is one of the largest ski resorts on the North Shore. Visitors come to Heavenly Ski Resort to experience one of the largest ski resorts in North America with over 4,800 acres of skiable terrain and a 3,500 foot vertical drop. Home to one of the largest snowmaking systems in Tahoe, Northstar ensures that no matter the weather, their 3,000 acres of skiable terrain are always ready for a run. Kirkwood Mountain is known for its convenient location, just two hours from Sacramento, and for having some of the lightest, driest powder in Tahoe.